Online subscription games are scored and recorded each time they are played! Students have 24/7 access from home or school. 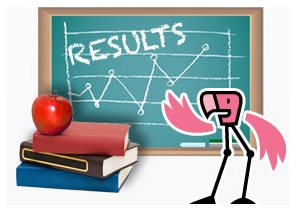 Teachers can now track student progress and monitor usage. Project on your black/white board or interactive white board to get your entire class involved, or assign as independent student review. 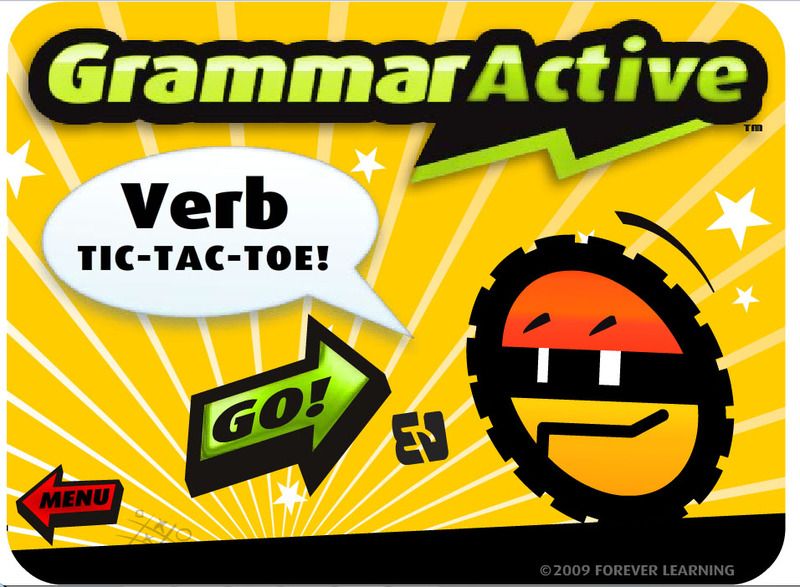 Verbs: Verb Tense Tic Tac Toe covers 9 levels of verb instruction. Students master the simple and perfect verb tenses in addition to progressive verb forms while having fun competing with classmates. 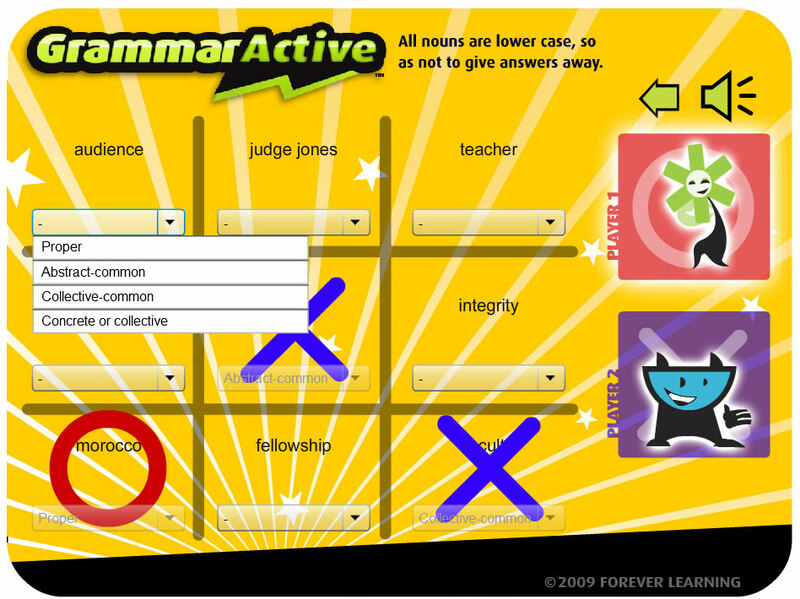 Verb component includes simple and perfect verb tense review charts and clear game instructions. Nouns: Covers 12 levels of noun activities. Students master types of nouns: common and proper; abstract, concrete, and collective, in addition to singular and plural forms, and finally the challenging possessive forms. 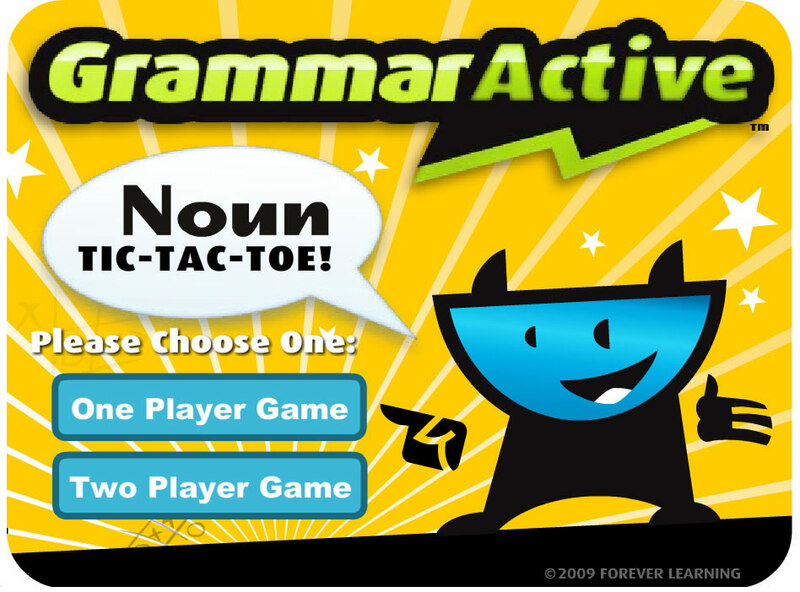 Students will practice forming the singular and plural possessive forms of both simple and compound nouns while having fun competing with classmates. 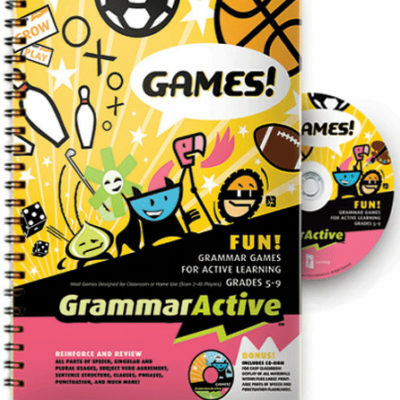 Noun component includes noun type, singular and plural noun, and possessive noun review charts and clear game instructions. Pronouns: Covers 12 levels of pronoun activities. Students master types of pronouns including, Personal: number, case, person, gender; proper and Indefinite highlighting singular, plural and those that can be either singular or plural. 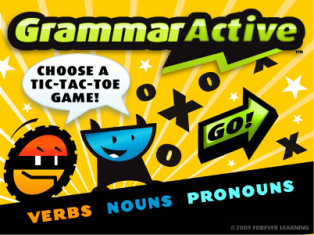 Students will practice forming the singular and plural, nominative, objective, and possessive forms of personal pronouns while having fun competing with classmates. Pronoun component includes Personal and Indefinite pronoun review charts and clear game instructions. How to Play: Individual students or class teams alternate turns earning an X or O for each correct answer. Game emits cheers when correct answers are chosen and so will your students! Students enjoy mastering English Language usage when they can play to learn! Contact us for multiple user licenses!